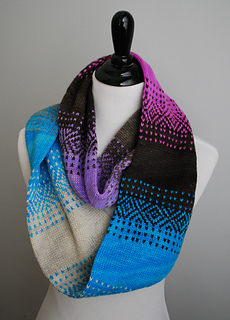 Gradient sets and stranded colorwork collide in this cowl that’s as much fun to knit as it is to wear! Designed to use two mini-skein gradient sets, this cowl is knit seamlessly, starting with a provisional cast on and ending with Kitchener stitch to graft the two ends together. The result is a double layer of fabric for extra warmth. 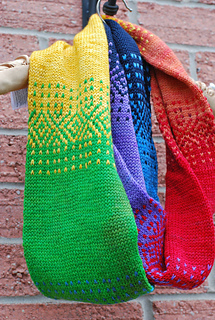 The colorwork motif is charted only. The pattern includes extensive notes on how to customize the cowl for differing amounts of yarn.